It’s a question that’s been around a while, yet we still see it asked a lot… What is the version comparison difference between Adobe Photoshop CS6 and Photoshop CS6 Extended? 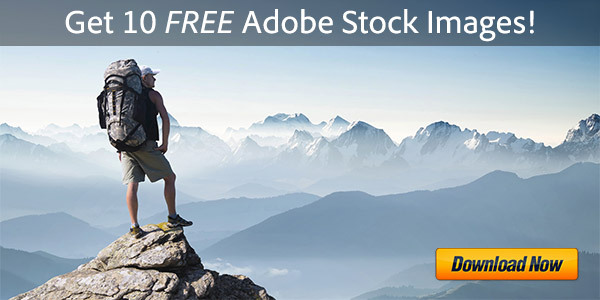 The Extended release is Adobe’s top-of-the-line Photoshop product, and they have one page on their site comparing the editions and feature differences, but the link is hidden in a corner and not obvious to find. 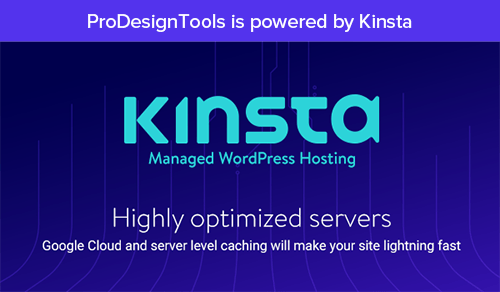 3D images and extrusions – Enhance and manipulate 3D content as easily as you would 2D content and explore new creative directions: Quickly create 3D logos, type, and artwork using efficient and intuitive controls that have been vastly improved since CS5. 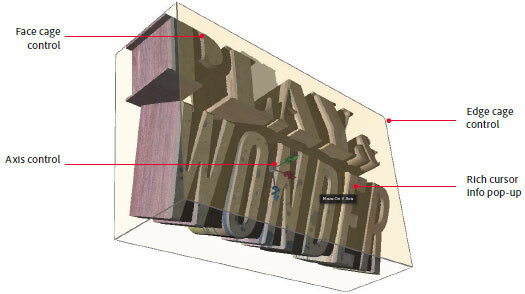 Twist, rotate, extrude, bevel, and inflate your 3D designs, and then apply rich materials like chrome, glass, and cork. Advanced 3D editing capabilities – Push your creative boundaries with powerful 3D editing tools — even paint directly on 3D objects and immediately see the results. Add 3D objects and layers to your designs and create amazing composites. Illuminate your scene with real lighting, shadows, and reflections, and animate your objects. Mercury Graphics Engine for 3D – Dramatically increased power and speed via new graphics engine optimized for 3D imaging. Image analysis – Use advanced measurement and counting tools to extract quantitative information from images. Record and export data for further analysis. Import DICOM files as frames or as a volume to directly analyze and edit your image data. Video and motion-based content editing, which used to be an Extended-only feature in Photoshop CS5 and earlier, has now been moved and expanded into all versions of Photoshop for CS6. 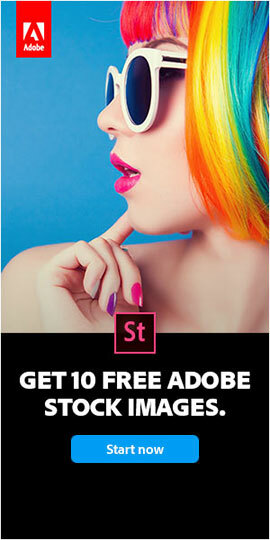 Photoshop CS6 Extended is used by professionals in many fields, including film and video, graphic and web design that includes 3D and motion, manufacturing and product design, healthcare and science, students and educators, and architecture and engineering. Which Version do the Trials, Suites, and Student Editions Contain? There is only one trial available for Adobe Photoshop – and it’s the Extended edition… You get to try out all of the features for 30 days, and then decide which version you want to keep at the time of purchase. The Student & Teacher Edition is similarly also always Photoshop Extended (for the standalone product). Outside of a suite, it is not possible to purchase an education version of the standard Photoshop. On the flip side, you’re getting up to 70% off its normal price. 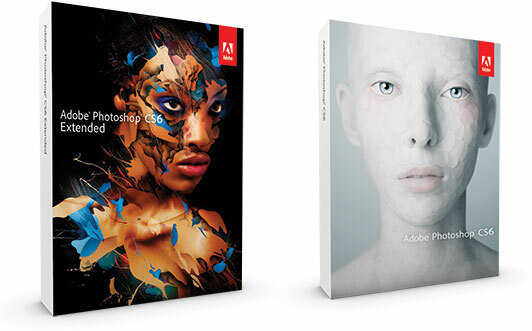 In the CS6 suites, three out of four of them (Master Collection, Design & Web Premium, and Production Premium) contain Photoshop CS6 Extended. Only Design Standard contains the regular Photoshop. And in the Creative Cloud with the new CC release, the standard version of Photoshop exists no longer – you always get the Extended edition, including even with the $9.99/month Photoshop + Lightroom Plan. See the full system requirements for both versions of Photo­shop, including tested and recommended graphics cards*. For the 3D capabilities in Photoshop Extended you want to have a supported GPU with fully up-to-date hardware drivers. Or explore more about 3D in Photoshop with the free first issue of the new magazine, Photoshop Dimensions – just download and follow along with the tutorials, as well as the reference information. See the complete table of differences between Photoshop CS6 Standard and Extended. * Note that the 3D features in Photoshop Extended CS6 are not supported on Windows XP. What’s the difference between Photoshop CS6 vs. CS5? Hi – I am a pro photographer and use Bridge & Photoshop for everything! I see the Photographers Bundle ($9.99) includes CS6 & Lightroom. Does is also include Bridge? Bridge is essential to a photographers workflow allowing us to sort, batch edit, and make correction through Camera Raw before even opening Photoshop. I’d be so surprised and disappointed if Bridge is NOT included in the Photography Bundle. But if not, how can I go about getting Bridge & Photoshop CS6 without having to pay $50 for a ton of other programs I will never use. Yes, it definitely includes Bridge! Also the three most recent releases of Photoshop (CC 2014, CC 2013, and CS6) together with Lightroom 5… You can choose to use whichever versions you want. And subscribers will get ongoing upgrades automatically – i.e., Photoshop CC 2015 and Lightroom 6 – as soon as they’re available. Thanks for this. Unfortunately ‘deactivate’ is greyed out and the start screen option to register does not work because the system does not recognise CS6 as installed, only CS6 extended, the license code is thus inapplicable. Maybe I should just uninstall- but seems draconian, or see what happens when the fictitious trial period ends. The windows uninstaller only lists CS6. You can uninstall the software, download & run the Adobe Cleaner Tool, then reboot your machine and reinstall. That would likely fix any issue. I have just downloaded the latest version of Photoshop CC, and the 3D option does not work. None of the buttons are greyed out, and they are readily available, but for some reason, my compliant laptop. Does anyone have any suggestions as to why the 3D isn’t working? I would appreciate any input to sort this issue out. Many thanks. Also, definitely make sure you have updated your video card driver to its latest version from your hardware maker’s website. We currently have Adobe Photoshop CS6 version 13.0 x32 which is not the extended version. Is there a way to obtain the a patch or update our Photoshop to the extended version or is the Extended version only available as a completely separate suite? Hello Melvin, unfortunately once you have Photoshop CS6 Standard, you cannot upgrade to CS6 Extended – only if you have CS5 can you upgrade that way. So the one option you have to get Photoshop Extended is with the new Photoshop CC Extended, which comes via subscription (together with Lightroom) for $9.99 a month via the new CC Photography Plan. PS – Note that besides getting the Extended version, there have been many new features and improvements added to Adobe Photoshop over the past several years since CS6! I’m new to photoshop and would love to learn all of its features. Do I need to own a previous version of photoshop (I currently do not own any versions) to own adobe photoshop cs6 extended? 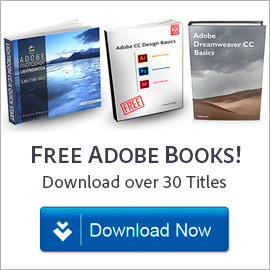 Hi KeeKee, as of the start of October 2015, Adobe finally removed the online sale of CS6 from their website… The reason is because the software is 3&half; years old and increasingly unsupported; they stopped releasing updates for it some time ago as the newer CC quickly grew and took over. With the CS6 software EOL and end of support, there are no updates, no bug fixes, and no guarantees it will run on future operating systems. So at this point we’ve stopped recommending it as a good or viable option going forward. If you want to get Photoshop (Extended) and Lightroom, then the CC Photography bundle includes the latest-and-greatest releases of both of these tools (plus ongoing upgrades to them) for US$9.99/month. 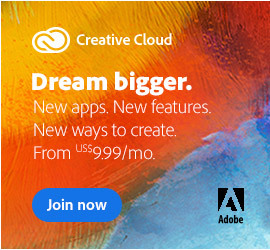 No previous Adobe software ownership or upgrade is required to receive that price. I have CS6 (not CC). How could I get the “extended” part ? Greetings, please see our previous response to Melvin above for the answer to that question. I have Photoshop CS5 Premium, but then I ‘upgraded’ to CS6 Standard. Does this prevent me from being able to buy and install the CS6 Extended version? That’s correct. If you have Photoshop CS6 Standard, then you cannot upgrade to Photoshop CS6 Extended – you can only upgrade to Photoshop CC (which has all the Extended features and much more). If I uninstall Photoshop CS6 Standard and revert to Photoshop CS5 Premium, could I then upgrade to CS6 Extended? So you’re saying you would throw away your previous upgrade to CS6 Standard and then try to “reupgrade” and pay again to go from Photoshop CS5 to CS6 Extended? Don’t think something like that would work because your CS5 serial number was already used for a previous upgrade… You can’t get discounted upgrade pricing from the same older license key more than once. But the bigger question is, why would you even want to do that? CS6 is end-of-life, over 4 years old and receives no further support or updates or fixes. Adobe stopped selling it on their website over a year ago, but before that such an upgrade would cost $350. Did you know you can have the latest & greatest version of Photoshop CC for under $10 a month, together with Lightroom, with ongoing upgrades included for both tools? All software has a usable lifetime, especially if it already dated (and static). Will the Photoshop CC install without me being required to set it up all with my CS6 Standard settings again from scratch. Yes – since CS6, Photoshop CC streamlines your life when moving around between different computers with the Preset Migration feature. Upgrading or changing releases is also easier thanks to this new capability to share and migrate presets from older Photoshop versions going as far back as CS3. I want to transfer my photoshop cs6 extended from my old Macbook Pro to my new macbook 2016 pro. How do I do that please. When dealing with instructions, please go slowly and be clear on each step in the the download process. I have lost my disk because it accidentally broke. I would like to maintain my old version of cs6 without purchasing the extended version. I felt it was high priced at that time. Now you want to force me into the extended version. I do not want or require the extended version. Give a guy a break! Sorry Larry, not sure what you mean. Hi, My Photoshop CS6 doesn’t have motion and 3D options in essentials bar. Why is that so? It sounds like either it’s not the Extended version (check the Help menu > About), or your computer can’t support the Extended features (see the complete CS6 System Requirements). In Photoshop CS6, click on: Window / Extensions / Mini Bridge – it shows Timeline – then click on Create Frame Animation. You need a document open first. New Adobe Captivate 6 Trial Downloads — Direct Links (no Akamai) What Are the Differences: CS6 vs. CS5.5 vs. CS5 vs. CS4 vs. CS3? What's the Difference: Photoshop CS6 vs. Photoshop CS6 Extended?